One day in early November of last year, an Instagram heartthrob posted a photo. In crisp black and white, the picture shows a mop-topped young man, his handsome face stubbled, a cigarette dangling casually from his lips. Behind him is a scene of tropical leisure: a pool, sunshades, abundant vegetation. But he’s ignoring it all. He’s looking down at the table in front of him, where a book lies open atop a scattering of perfectly arranged papers. It’s a scene worthy of Ernest Hemingway, or at least of Chris Isaak. The comments below the image are ecstatically confused. “Is that you?!?!?!?! Finally?!?!? !” queries one. “OH MY GOD ATTICUS IS THAT YOU????!!!???? OMG PLS TELL USSSS 😫😫😫 IF THATS YOU, YOURE SO GORGEOUS ATTICUS 😍😍😍❤️🔥😫😘😘😘 YAY FINALLY!!!!!! !,” hyperventilates another. “What a wicked thing to do, to let us wonder if it’s you … ” chides a third. Atticus is that rarest of things ― a celebrity poet. He’s also anonymous. He writes under a pen name and wears a mask in photos and for public appearances. To be clear, the mopped-top man from the November photo is not Atticus. Rather, he’s a coy decoy meant to titillate those giddy fans, clueless as they are to the poet’s true identity. Atticus’ rise in the poetry world has been meteoric, unhindered by the concealment of his real name. He first posted on Instagram in 2013 and now has nearly 900,000 followers, the number still steadily growing. In late 2015 or early 2016, he published his first chapbook. In 2017, Atria Books, an imprint of big five publisher Simon & Schuster, published his collection Love Her Wild. Karlie Kloss, Shay Mitchell and Kaitlyn Bristowe are all thanked in it, and with good reason. Atticus poems frequently pop up on the Instagram feeds of celebs like Kloss and her crew, not to mention those of Bachelor alums like Bristowe. In September, Atria published an essentially identical follow-up collection, The Dark Between Stars. Atticus’ work and persona ― like the work and personas of other popular Instagram poets ― are perfectly calibrated to attract fans: bland, generic, aesthetically pleasing, and therefore the perfect projection screen for readers’ desires. He specializes in the sort of broadly phrased epigrams about love and heartbreak that people eagerly like and share online, often printed over white backgrounds or saturated photos of long-maned, long-legged girls. One of his most beloved, oft-quoted poems romantically urges the reader to “Love her, but leave her wild”; women caption Instagram selfies with Atticus lines like “Just enough madness to make her interesting” and “She wore a smile like a loaded gun.” He’s prone to maudlin images that wouldn’t be out of place in a country song, like women with “whiskey-sipping / skinny-dipping” smiles. The poetry might be bad, but it is too inoffensive and nonspecific to alienate. Anyone can see themselves in Atticus’ poetry, and what they’ll see is a slightly heightened version of themselves, enigmatic and alluring. His identity had remained cloaked until last week, when a rival Instagram poet, Collin Yost, revealed the name of the author behind Atticus. He posted evidence on his Instagram account, as well as a story accusing Atticus of plagiarism, piling up examples of verses that appear at worst cribbed and at best vaguely similar to quotes from writers like T.E. Lawrence and Oscar Wilde, and to Pinterest slogans commonly attributed to Albert Einstein and F. Scott Fitzgerald. When I began working on a piece about Instagram poetry, a year ago, I had no intentions of breaking any spell. I was hoping to interview a number of working poets, booksellers and publishers about the resurgence of poetry on social media and beyond. Instagram poets like Rupi Kaur are selling like hotcakes; Maggie Smith, Danez Smith, Tracy K. Smith and other acclaimed poets (even ones without the surname Smith) have seen urgent, cathartic poems go viral on Twitter. I wanted to find what was working in a social media poetry world that has swept in so many new readers. Versions of this story get written from time to time, and they tend toward a patronizing sunniness. “My love is like a hashtag; Instagram gives rise to new poets,” announced the Wall Street Journal last September. “Selfie age gives new life and following into poetry,” reads a Guardian headline from 2016. “In a land of selfies and shots of lunch, poetry thrives,” proclaimed the Boston Globe. These stories map an increasingly egalitarian poetry landscape. In place of the traditional gatekeeping system is a supportive, welcoming environment, particularly for marginalized voices. Purveyors of female empowerment and romantic expression like Kaur, Nikita Gill and Yrsa Daley-Ward flourished in this ecosystem. Instagram poets who might not get a second look from the predominantly white literary establishment have risen to prominence on their own. The trend is democratizing, both for writers and readers. “We have definitely seen the ‘Milk & Honey’ effect,” Miriam Sontz, CEO of Powell’s Books, wrote in an email to HuffPost, referring to Kaur’s first collection. “This title is one of our top sellers week to week and has been on our Best Seller displays for 18 months.” Last year, she said, poetry sales at Powell’s shot up by 28.5 percent; in 2018, she told me, the trend has continued, if less dramatically, with poetry sales rising by about 12 percent. All this new readership seems like a net positive for poets with traditional careers, as well. Graywolf, an indie press that publishes numerous acclaimed poets, has been enjoying the effects of a poetry boom. Last year was “a notably strong year for poetry sales” at Graywolf, publicist Caroline Nitz and sales and marketing manager Casey O’Neil told HuffPost in an email in November 2017. The press published two 2017 National Book Award shortlisted collections, Whereas by Layli Long Soldier and Don’t Call Us Dead by Danez Smith, which saw strong sales and went into multiple printings within months. Not that there aren’t detractors. Thom Young, one of Atticus’ exposers, is an ardent critic of Instagram poetry. A published poet, Younghas held forth on the subject in outlets like “PBS NewsHour” and The Wall Street Journal. He gripes that the work of popular Instagram poets is “not really poetry” but recycled clichés that anyone could write. In glowing articles on the Instapoetry trend, he’s often the only curmudgeon waggling his finger in judgment. Overall, in these pieces and in the cheery round-ups of the best Instagram poets, the trend is presented as pretty much all upside: more poetry, more reading, more expression. But as with so many things on the Internet, anyone who pokes around the realm of Instapoetry quickly finds herself wrestling with shadows, with half-truths and pseudonyms and slippery motives. It’s peopled by scammers and opportunists and ironists faking sincerity ― or is it the other way around? The men who unmasked Atticus are hardly straightforward actors themselves. It turns out there is better art and artifice in the creation of the characters who make Instagram poetry than in any of the poetry itself. At first blush, Collin Yost embodies a straightforward Instapoetry type: perhaps more of a cosplayer than an artist, but a genuine and even sentimental one. In his ripped black jeans and bowler hats, Yost taps out his achingly earnest lines on a 1978 IBM Selectric II, garnishing the poems with actual cigarettes. This surprised me, as so many revelations from the Instapoetry world did. If Yost was a satirist, why didn’t he simply say so when Twitter’s literary critics descended, knives drawn, to rip apart his poetry? I reached out to Yost, who clarified a little. “I do write genuine short pieces that I feel deeply and that I know my audience will relate to, but occasionally I do write satirical pieces as well,” he explained. “For my audience, it’s easy to differentiate between which is which because they know my tone and style.” His self-published book, A Shot of Whiskey and a Kiss You’ll Regret in the Morning, contains only his genuine poetry, he said. To be honest, reading through his Instagram feed and book, it was difficult to observe a clear difference between the earnest and the mocking ― and if it was earnest, there was hardly a bright line between Yost’s work and the kind of standard-issue Instagram epigrams his friend Young decried. “She taught the ocean waves / how to crash,” concludes one short poem from his book; “Give me all of you. / Every day. / I promise to love you so,” goes another. And it worked. Yost, who had around 10,000 followers in August 2017 and now has over 18,000, tapped into the same market as poets like Kaur, whom he once openly criticized. During the wave of backlash from Twitter critics, Yost responded with taunts about his book earnings. “I’ll make sure to keep that in mind while I stay in the top 10 percent of sales on Amazon and keep getting direct deposited while I sleep,” he posted on Facebook. After the wave crested, he seemed to realize that getting popular and marketable on Instagram is a political game, a potentially lucrative one, and needs to be played carefully. “You know posting these pieces will gain attention and traction — it will inevitably lead to more likes, followers, and discussion,” he told me when we emailed in November of last year. “You have to be able to draw them in.” For a time, he frequently tagged Andrews McMeel, Kaur’s publisher, in his posts. Of course, Yost hasn’t entirely stuck to his dovish persona. In recent months, some noticed, his Instagram became rather political; he took to posting right-wing poems, some of which included “MAGA” references, excoriated socialism, or celebrated Justice Anthony Kennedy’s retirement. Then came the jabs at Atticus, culminating in his Instagram story and post alleging plagiarism and exposing the poet’s identity. But Yost’s collaborator, Thom Young, hardly seems troubled by giving Instapoetry a bad name: In fact, it’s his pet project. And he seems to be the motivating force behind the latest data dump. Young told him about Atticus’ real identity two years ago, when they first began corresponding online. Yost also told HuffPost that most of the instances of alleged plagiarism were compiled by Young, who had tried posting about Atticus on his own Instagram without getting much attention. “He’s been compiling those for, gosh, I don’t even know how long,” Yost said. Young, who lives in Texas, is a published poet. But he’s garnered media attention ― and become a go-to expert source on the evils of social media verse ― for something other than his serious work: parodying Instagram poets. After noticing that Instagrammers were attracting huge follower counts by posting poems he found trite and insubstantial, he began to follow suit, posting saccharine one-line poems on his account, even as his captions hinted at the joke or openly criticized this style of poetry. The approach was double-pronged: He was taking the piss out of successful poets like Kaur and Atticus, but also exploiting the same tactics to boost his own profile. It’s not all affectionate ribbing, either. Young expressed some real disdain for this kind of popular poetry, and some resentment about the advantage these poets have in building audiences. “A lot of what I consider quality writers are ignored, just because they don’t write that kind of simplistic work,” said Young, who has worked as a high school English teacher. Young, at least, is no longer being ignored. He quickly built a large Instagram following with his parodies (currently over 50,000 followers), and he told me that the tactic had also boosted sales of his real books of poetry, which he links to from his account and constantly peddles in posts. In April, he also published a satirical novel, Instapoet, about the genre that haunts his dreams. When we spoke last year, there was something refreshing in his surliness, at least at first. Here was someone paying Instagram poetry the compliment of taking it seriously enough to hate it. For the most part, the literary establishment has ignored Instagram poets. As Laura Miller once wrote of Jennifer Weiner’s easy-reading commercial fiction, the Instapoetry genre is considered by most poetry critics to be too predictable and formulaic to merit analysis. When poets and critics do acknowledge it, it’s with benevolent appreciation. But this tolerant, even warm, approach leads the critical conversation surrounding social media poets toward a false-seeming positive consensus ― especially since plenty of people do hold Instagram poetry in utter disdain. Snide parodies of Kaur litter social media, and one has even been turned into an Amazon bestseller: Milk and Vine, a spoof volume in which all the poems are actually dialogue from Vine videos. Young just seemed to be the only credentialed expert willing to voice the skepticism felt by many about Instagram poetry’s artistic merit. But while Young is now regularly cited by the media as an accomplished poet who dabbles in Instagram satire, his actual literary career ― and identity ― is surprisingly hazy. He’s published poems in a number of small literary journals, none particularly notable (more 3AM Magazine than Poetry). In bios and media coverage, he’s described as a Pushcart nominee, an honor shared by untold thousands of writers annually. He’s also put out a long list of books, but all appear to be self-published, either through a standard choice like CreateSpace or shell publishers such as LOMS. There’s not much information about LOMS online, just a ghostly Facebook page and a skeletal web magazine, The Last Chapter, which is referred to as a division of LOMS. The contact email is the same one through which Young reached me. When my questions about his career grew more pointed, Young referred me to his new publisher, Bone Machine Books, with any further questions. The website for Bone Machine listed only Young and a fellow writer he frequently promotes online and in interviews, Scott Laudati, as authors. Though the listed editors are Milo Savage and Jerry Ovad, the web domain is registered to Laudati. (In an email, Laudati told me that he had a discount from registering his own personal website’s domain, so he let Bone Machine use it.) No trace of publishers or editors named Jerry Ovad or Milo Savage turns up elsewhere online, but the name Milo Savage does appear in one suggestive place: It’s the name of a character in Young’s book Resign. Young seems to be behind much of the apparatus, not just the artistic work, of his own poetry career ― but, like Atticus, he has taken some pains to disguise who he actually is. Months after our original interview, when I reached out to Young with a follow-up question, he rather casually told me that “Thom Young” was a collective of four writers who met at Texas Tech University ― though he, the person with whom I’d been corresponding, was the primary one. I was bewildered, and pressed him: Was Thom Young the real name of the primary writer? Who were the others? He finally responded, saying that he, Laudati and a writer named Matt Blythe all wrote under the name “Thom Young.” I asked Laudati, who did not attend Texas Tech and met Young more recently, about this. He seemed confused, saying they were working together on a book but were not a collective working under that name. I can find no evidence of Blythe, who is listed as the coauthor of Young’s satirical novel Instapoet, existing anywhere but an Instagram account that interacts with Young’s. Its profile picture is a stock photograph. Young, I began to suspect, isn’t a collective, but he also isn’t a man named Thom Young. I asked Young several times to confirm or deny that his real name is Matulich; while he wouldn’t confirm it, he repeatedly failed to deny it, either. It’s unclear why Young would need a pseudonym, but the vagueness of his identity has likely been conducive to building his poetry-world persona, a persona that’s both marketable and disproportionately influential in this niche genre. His credentials might be murky, but they carry a greater impression of authority than just another dude publishing his poetry on CreateSpace. Besides, an aura of mystery, as Atticus has also discovered, can go a long way in selling yourself as an artistic genius. Young is certainly one thing: a troll. He’s trolling the Instagram community, admittedly, by posting poems and then mocking readers who actually enjoy them in the captions. He’s trolling the media, too, getting his opinions into mainstream publications under a false name and meager credentials. In an email, I asked Young about Amala Kaur, and whether he had created the account. He did not respond. If Young did create the Amala Kaur account, which does seem like a parody of Rupi, what with the shared name and meager Internet imprint, the undertones are less innocent than his general satire of Instagram poetry. A lot of the social media poetry out there is written by white men, like Christopher Poindexter and Atticus, but Rupi Kaur fans have sometimes defended the poet by noting a particular fervor to the disdain for her work that they argue derives from sexism or racism. The Amala Kaur account, which parodies the South Asian imagery Kaur explores, seems to validate these concerns; the satire targets something other than just the quality of her verse. Young seems deliberate and even gleeful in his provocations ― even if the attention he generates for himself is critical. In 2016, the poet Chen Chen published a poem called “Ode to Reading Rimbaud in Lubbock, Texas,” which lyricized the tension of living as a queer Chinese-American man in a deeply conservative Texas town. Young wrote a mocking rebuttal entitled “Ode to Reading Bill O’Reilly in Portland,” which derided “millennial snowflakes” and “your collective pseudo intellect / that never fathomed the common sense of the electoral college.” It’s shallow, needless satire, crafted to insult liberals rather than to illuminate any real oppression faced by conservatives in left-leaning locales. The logic here is reminiscent of right-wing trolling and victim posturing online. Intolerance of racists is framed as just as wrong as intolerance of marginalized racial groups; if acceptance is the goal, this logic goes, why can’t you liberals accept that some of us want a white ethnostate? There’s also a telling use of “satire” as a deflection: I said something offensive only to prove OTHER PEOPLE are offensive. If it’s all just a joke, everyone else is silly to take it seriously ― a stance that proved devastatingly effective for alt-right trolls that propagated shitposting culture and Pepe memes. It’s not that Young is an alt-right troll ― but in a similar vein, reading through his Instagram or his satirical novel, there’s so much directionless “satire” and misinformation that it’s impossible to pin down what he’s telling the truth about, which appears to be exactly his aim. If the character of Atticus was built to capture the ambient yearning of people on social media, Young has engineered a persona to channel their rage ― at artistic gatekeepers and frauds, above all. His books even lack the clarity of viewpoint one might expect from a single author, instead vocalizing popular clichés that often clash with each other. Each poem has the smug certainty of its epiphanic truth, but taken collectively, Atticus’ philosophy is a self-contradictory mess. He mouths a sort of feminism, celebrating women “waiting for a sword” rather than a protector and urging men to “build her wings / and point her to the sky”; then again, the women he writes about are often cast as alluring agents of chaos (shades of Jordan Peterson), or valued for the healing and inspiration they offer men. One prescribes “brushing a girl’s hair / behind her ear / once a day” as an alternative to therapy. A poem that begins, “It was never the way she looked / always the way she was” seems adrift in a sea of verses about women so beautiful the very stars are jealous, and black-and-white photos of slender sylphs in bikinis. Often Atticus seems to be playing at MadLibs, with his own oeuvre if not with others’. Sometimes love is a poison we drink willingly; other times “thinking of you” is a poison he drinks often. Or perhaps fame is the poison we down despite clear warning labels. The metaphor apparently works equally well for any of these distinct concepts. And then there are the allegations of plagiarism. Some are tenuous, echoes that could reflect little more than the banality of the sentiment and the phrasing of both versions. Or they could be intentional allusions, like Atticus’ “too wild to last / too rare to die,” which he carefully notes is an homage to Hunter S. Thompson’s “Too weird to live, and too rare to die” in the acknowledgements of Love Her Wild. Others look more damning, like a poem, “Ghost of Oxford,” that ends “for dreamers of day / are dangerous men” ― a near-exact mirror of a passage from T.E. Lawrence’s Seven Pillars of Wisdom. Prior to my conversation with his representative this week, the poem’s caption did not mention Lawrence; it’s now been updated to scrupulously attribute the quotation. A screenshot of the original is below. Some allegations bend back on themselves: Yost and Young, for example, claim Atticus plagiarized F. Scott Fitzgerald in one poem. 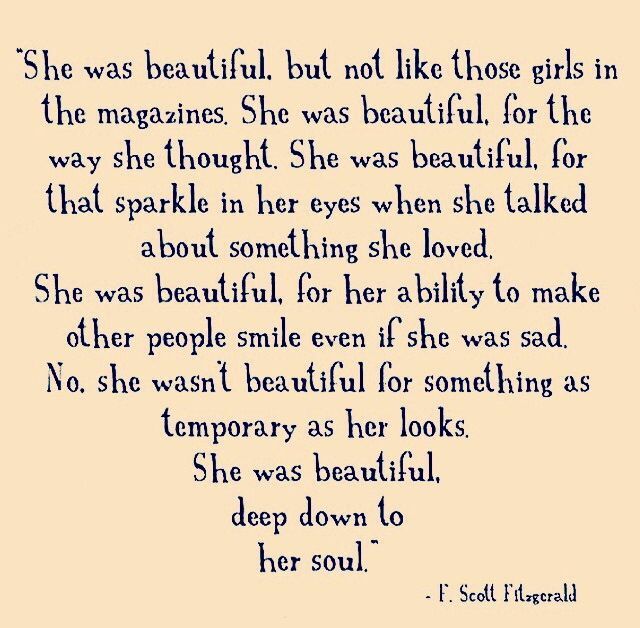 His poem and the quote do bear a noticeable resemblance ― but the Fitzgerald quote they cite isn’t his. It floats around on quote cards and inspirational roundups under his name, but it appears to be verbal flotsam from some corner of the internet, not from a literary classic. Even the quotes assiduously attributed to those underappreciated masters, in this world, all too often turn out to be deceiving. It’s not clear who should be more embarrassed, Atticus for possibly ripping off a Pinterest quote card or Young and Yost for attributing it to Fitzgerald. As with Rupi Kaur, claims of Atticus’ overappropriation of other poets have drifted around the community for some time, but it hasn’t been enough to discernibly dampen his popularity ― in part because the similarities are often slight enough to be set down to coincidence or allusion, in part because the size of his following far outstrips the reach of the accusations, and in part because for these Instagram poets and their audiences, creating fresh, original verse isn’t the point. Atticus is a brand, not an artist; his books and Instagram and appearances cohere into a marketable aesthetic rather than an oeuvre of literature. His fans aren’t getting much, in terms of art, that they couldn’t get from a country song, a whiskey commercial and a throw pillow cross-stitched with inspirational sayings ― the key is that they’re getting everything at once, the country song, the whiskey commercial and the throw pillow, all from a persona that can be whatever you want it to be. Atticus is not difficult to find, once you really look. His website was set up by Atticus Publishing, LLC, and if you wanted to know who the poet is, you’d just have to look up the LLC’s registration record. He registered the business himself. Or you could look at the first people Atticus followed on Instagram, or the people he thanks in his book acknowledgements, and you’d find that they all have the same Canadian quasi-celebrity in common. He has other things in common with Atticus ― the sweep of buttery blonde hair, the blue eyes that twinkle from behind the poet’s mask, the passion for motorcycles and sailing, the admiration for F. Scott Fitzgerald, the stint in Oxford two summers ago (Atticus has mentioned in interviews that he spent time studying poetry there in 2016). It all comes together quite quickly; when I started looking into the poet last fall, I figured it out almost by accident, in about 10 minutes. The secret isn’t carefully locked down; Yost told me that he’d heard of his true identity not just from Young, but from several other poets he’d met in the past few years. As Yost posted on his Instagram last week, Atticus’ real name is Duncan Penn. He, along with his brother and two friends, became minor reality stars after they toured North America in a bus completing a long bucket list; the result, a show called “The Buried Life,” ended up airing on MTV in 2010. Today, he dabbles in publishing books, producing TV and farming lavender. Duncan Penn, left, with his "Buried Life" castmates in 2015. Unlike Elena Ferrante, who once said of her anonymity that to “relinquish it would be very painful,” Atticus has publicly said that he’s not too attached to his mask. “I’m not precious about who I am underneath,” he told the Globe and Mail. “If people found out, if people have guesses, I don’t care; I’m not worried about that.” Still, when I repeatedly brought up his real identity via email in late 2017, Penn asked me not to reveal it. “I would prefer to remain anonymous,” he wrote in an email. “Given that the other publications I’ve worked with have respected my decision to maintain anonymity, I’d ask for the same journalistic consideration from you.” (For the record, I contacted Atticus with questions about Instagram poetry and, subsequently, his identity, but at no point entered into any agreement about the story’s angle or preserving his anonymity.) Representatives for Atticus and Atria declined to comment. So why be anonymous at all? He says it’s so that he can “write what I feel and not what I think I should feel.” Maybe so ― he certainly wouldn’t be the first. It rings slightly false, given the polished, consumer-ready nature of his work, which reads as deeply aware of its audience’s expectations. I think of the boy band heartthrob who withholds most of his real self from public view, the better to leave a blank screen for his fans’ projections. It’s clever brand management, and in a poetry scene whose stars thrive by stamping their name on syrupy platitudes and marketing them as art, brand is everything. It’s not just Atticus, though Yost and Young certainly seem to feel that way. Yost, who at least uses his own name, types his poems on a typewriter and litters them with cigarettes. Young pumps up his follower count and book sales by mimicking other Instagram poets, while also savvily positioning himself as a righteous voice of dissent. In each case, the poetry is less than impressive, and the truth far more complicated. In the cases of Atticus and Young, their avatars help maintain the mystique of their chosen personas. Fans may not be turned off by Yost’s ripping away of the curtain. But if so, that’s only because the curtain itself has become the point — not what’s behind it, not even what’s in front of it, just the romance of something being concealed at all. What art Atticus is capable of lies in creating an air of fascination surrounding a blank space. He can count on his fans not looking too hard for answers because the question is what they want anyway. CORRECTION: A previous version of this story indicated R.M. Drake is white. He is Colombian-American.